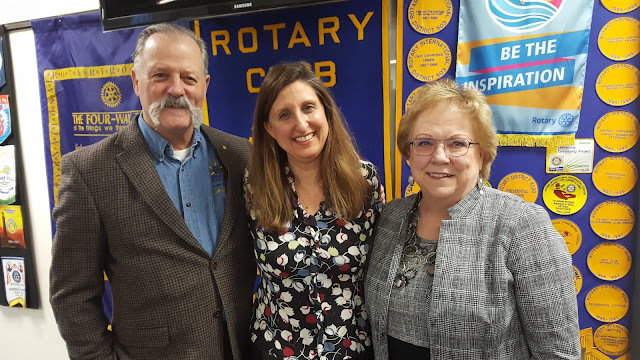 On March 20, 2019 JP Mahar and President Kae Peterson of the Rotary Club of Lake Forest Park welcomed Kelly Lie of the Shoreline-Lake Forest Park Arts Council. Kelly thanked them for their $2,000. contribution and applauded the club's support for the arts. She is especially enthusiastic about the Council's "Artists in Schools" program that has encouraged some 3,200 youthful talents at Briercrest, Brookside, and LFP Elementary schools.